Agoura Hills is a city located in Los Angeles County, California, between the Simi Hills and the Santa Monica Mountains and is home to over 20,000 residents. Neighboring cities include Calabasas, Oak Park, and Westlake Village. The area was originally inhabited by the Chumash Natives Americans for several thousand years. As Spanish Franciscan missionaries settled the Upper California coast in the late 1700s, a road from Loreto, Baja California was established and ran through what is now Agoura Hills. The natural spring at the foothills of Ladyface Mountain made it an ideal stage stop for travelers around 1900. In the 1920, Agoura was home to a ranch owned by Paramount used for filming westerns, and as such was called Picture City. Agoura was chosen as the name for the post office in 1927. The residents were required to choose a one-word name and chose the shortest name proposed, which is a misspelling of the last name of a French Immigrant who settled the area, Pierre Agoure. Agoura Hills is known for its live music scene, especially nu metal. Bands such as Linkin Park and Incubus had their start here. Agoura Hills is also home to The Canyon Club, a highly regarded concert venue that hosts artists such as Peter Frampton, Pat Benatar, Cyndi Lauper, REO Speedwagon, Asia, Boyz II Men, Alan Parsons, Foreigner, Bret Michaels and The Smithereens. Agoura Hills residents have a fine selection of places to shop and dine. Shopping venues include Agoura Hills Town Center, Agoura Hills Commercial Center, Agoura Meadows Shopping Center, and Twin Oaks Shopping Center. Just outside of Agoura Hills are the Shoppes at Westlake Village which offers stores such as Guitar Center, Total Woman Gym & Spa, Carrier Menswear, and others. When it comes to great places to eat, Agoura certainly delivers. Wood Ranch BBQ and Grill offers rib eye steaks and garlic rolls. Old Place Restaurant offers west coast fare such as Oak-Grilled Sirloin, Organic Chicken in Sage Marinade, and Chicken Pot Pie. Other fine places to eat include Carrara Pastries, Lal Mirch Indian Restaurant, Hugo’s, Cornell Winery & Tasting Room, and Adobe Cantina, just to name a few. As of the 2010 census, Agoura Hills had a population of 20,330 with a median household income of $107,885. The top employers in the city are Bank of America, Las Virgenes Unified School District, Teradyne, and TouchCommerce. 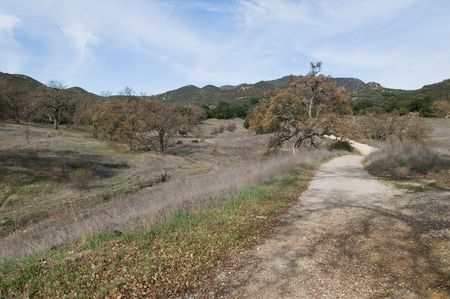 Agoura Hills offers a wide selection of parks and recreation activities for its residents. The Agoura Hills Recreation and Event Center hosts a wide variety of activities throughout the year and can also be rented for private activities. Other parks include Chumash Park, wich has a ballfield, playground, and picnic area. Forest Cove Park, Morrison Park, Old Agoura Park, Reyes Adobe Park, and Sumac Park offer similar amenities. Students living in Agoura Hills attend the Las Virgenes Unified School District. Schools include Sumac Elementary School, Willow Elementary School, Yerba Buena Elementary School, Lindero Canyon Middle School, Agoura High School, and Indian Hills High School.